Play Audio! | 92:56 min. 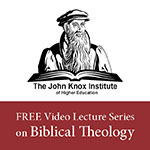 I managed to resist the temptation to do the "politics talk" and finished up the introduction to sola scriptura today in a 90 minute program focusing upon the final sections of Karlo Broussard's arguments on Catholic Answers Live, and then discussing two more important aspects, "Apostolic Tradition" in the early fathers as well as the issue of the canon. Not easy material to cover, but so very important! Great series. Thank you for doing this!